In this month’s challenge we were asked to go a step further in the ingredients we use and use suet in the steamed pudding we were making. 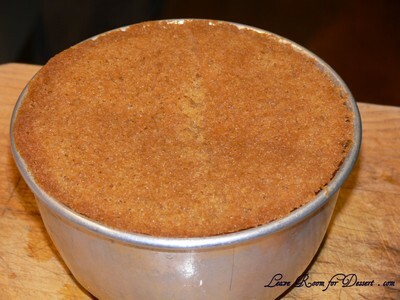 After deciding to make a steamed sweet sponge pudding, I decided on using a substitute for the suet – although after having trouble in the cold isle of the supermarket trying to find what I could use as a substitute, I gave in to using butter as my base. 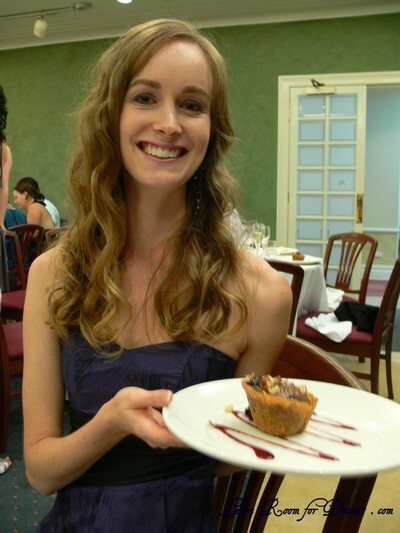 A lot of people know I am a huge fan of self saucing puddings, so I was extremely excited to find out how this differed in taste or texture to the ones I normally make. Personally I enjoy the cake-like fluffy texture of a self-saucing pudding to the more chewy textured steamed pudding. I also find it’s a lot easier to see whether a self-saucing pudding is ready to be eaten – as the steamed pudding has a cover to take off before you can test it. I thought many recipes I looked through needed some photos on the covering and tying of the handle for top of the pudding, as I found some descriptions a bit confusing. Although my mum found this helpful video tutorial (a How-To) for pudding assembly. A big thanks to Esther for hosting this challenge and taking me outside my comfort zone (even if I didn’t get around to using suet…). 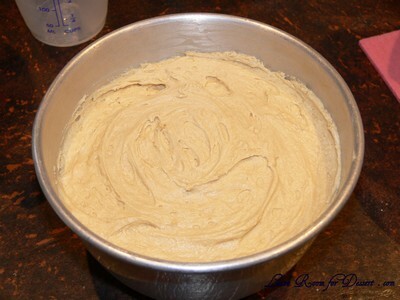 Grease a 1.2L pudding dish. Place a steamer, bowl, or egg rings in a large saucepan (large enough to fit your pudding dish, with gaps at the side) and fill with enough water to come half-way up the sides of the pudding dish. Place on low/medium heat. Cream the butter and the brown sugar until light and fluffy. Beat in the vanilla essence. Add the eggs one at a time, beating in between additions. Beat in the sifted flour and baking powder. Pour mixture into greased pudding dish, smooth the top. 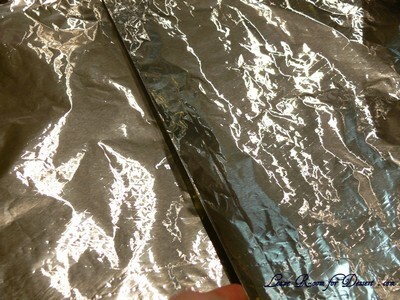 Place a sheet of aluminum foil over a piece of grease-proof paper (approx 40cm x 30cm). Make one pleat (approx 2 cm) in the centre. 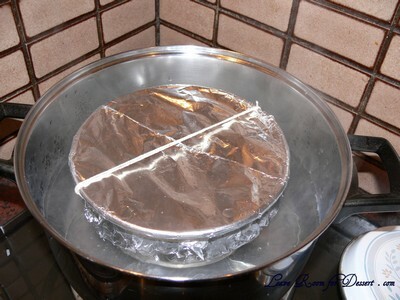 Place the pleated paper and foil on top of the pudding (grease-proof paper side on the inside near the pudding, the foil on the outside). 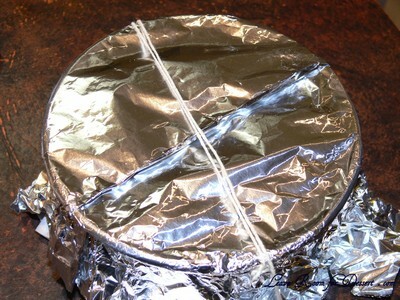 Turn the edges over, making a tight seal on the dish. 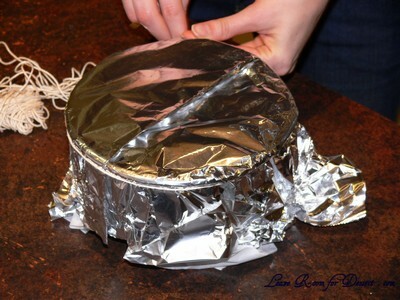 Tie a piece of string around the dish – under the lip, keeping the foil tightly against the dish. Tie another piece of string (from the string under the lip) over the top to create a handle. (Watch this video). Place the pudding on top of the steamer in the saucepan. Heat on low for 2 hours, checking the water comes halfway up the dish. Once cooked remove from saucepan, sit for 5 minutes, then turn out. For the sauce, combine all ingredients in a saucepan over medium/high heat and continue to stir until the sauce thickens. Pour over the steamed pudding and serve. Filed under Cakes, Slices and Biscuits, Daring Bakers, Dessert, Recipes. You can follow any responses to this entry through the RSS 2.0 feed. You can leave a response, or trackback from your own site. 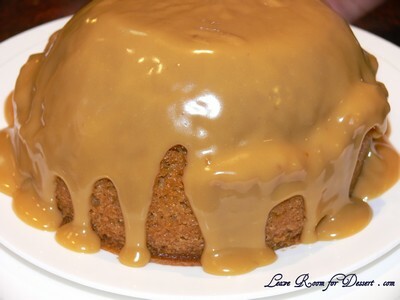 Oh Anita, another yummie dessert 🙂 This butterscotch topped steamed pudding looks delicious, so rich in flavor…love the pictures as well. Yummo!!! Gotta love that sauce – love how over the top of the pudding. oooh, the pudding turned out so moist, you can tell from the photos alone. Great work. Woah! That looks so, so, so, so good. The sight of that butterscotch sauce drizzling down the sides makes me feel a bit faint, in fact. I’m definitely bookmarking this for later. Nice job. I made butterscotch sauce too – and am ashamed to admit I ate pretty much the entire pudding ;P Yours is making me crave more, argh. The sauce has me drooling….great job! That sauce looks fabulous! I can’t take my eyes off of it. Beautiful job on the pudding, now I want to try this one as well! Wow, that butterscotch sauce looks absolutely delicious! It looks thick enough to even pour over a scoop of ice cream. Nice job on your challenge! Oh my goodness…that butterscotch sauce is screaming out my name! Your pudding looks SO good!!! 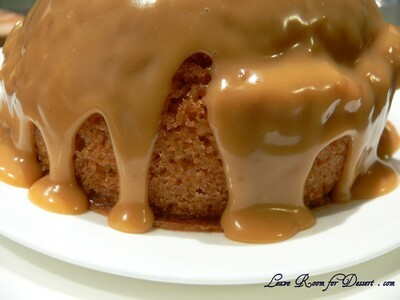 I love butterscotch self saucing pudding – I wouldn’t have thought to do a steamed pudding version. Good on you! Hmmm… that pudding looks wonderful – especially with all that butterscotch sauce all over it. Most delicious and drooling pudding I have seen in DB Challenge! 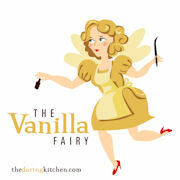 It is butterscotch, who could resist, right? Great job! 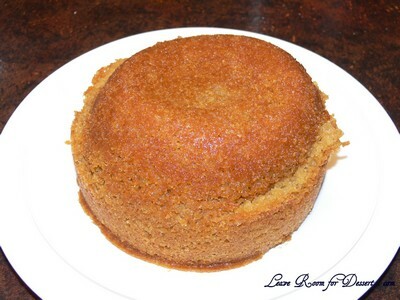 Your steamed pudding looks fantastic!!!! 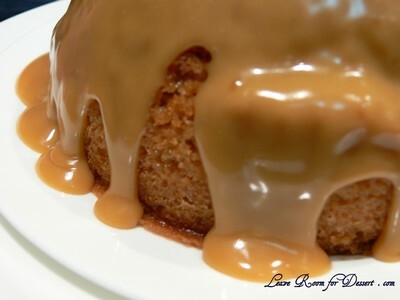 I like the way you served your steamed pudding with sauce – it gives you the best of both worlds! I like your take on the challenge. 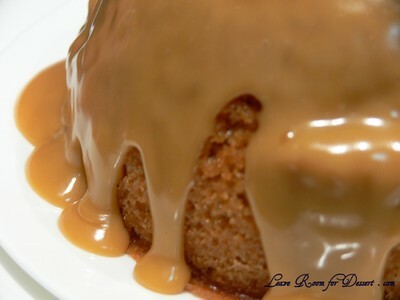 The caramel sauce looks yummy! I think I just suffered butterscotch overload…is that possible?! That sauce looks so gooey and delicious. I love your “nothing that a little sauce won’t cover up comment. Great job on this challenge. Hi, Wondering if anyone can help me, I am looking for a receipe that my mum used to make for us as kids. 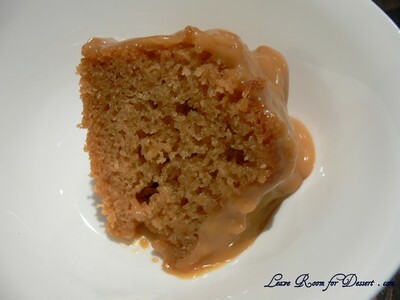 I can’t remember the exact name but it was a steamed pudding, I think butterscotch flavoured. It is not the syrup pudding as this pudding had no sauce running down the sides or you didn’t pour any sauce over it. It was just a butterscotch sponge type base then it had a thick layer of butterscotch stuff that was on top of the pudding. If anyone has any idea could they let me know.